The best spa hotels in Italy’s northernmost region: the Belvita Leading Wellnesshotels Südtirol. guarantee top service and unforgettable experiences for the discerning guests seeking to spend a spa holiday in Italy quite above the ordinary. The Belvita hotels are all nestled in the most scenic locations South Tyrol has to offer. Each of these hotels is a unique retreat for exclusive spa holiday experiences. If you prize high-class spa, Italy’s spa mecca South Tyrol is your best choice. The Belvita hotels reflect the region’s vocation providing ideal refuges for a dream holiday in a fascinating Alpine-Mediterranean setting. The Belvita association encompasses the best 4-star-superior- and 5-star spa hotels in South Tyrol. By choosing one of the Belvita hotels for your spa break in Italy, you are guaranteed to enjoy first-class spa services in an exclusive ambience. 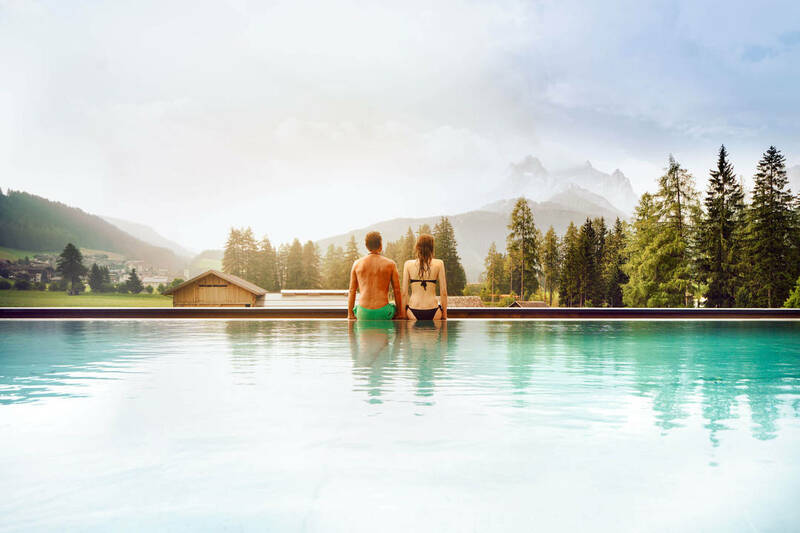 All the Belvita Leading Wellnesshotels Südtirol are family-run hotels that fully convey South Tyrol’s traditional cordiality and provide unchallenged quality in terms of wellness-, spa- and fitness services. In order to provide consistent cream-of-the-crop quality, the hosts undergo regular mystery checks to obtain and maintain the Belvita quality seal. Belvita offers consistent quality to ensure a most regenerating holiday in Italy’s spa mecca South Tyrol. The undersigned, who has read and understood the information according to the link, agrees to the processing of his/her personal data by Belvita Alpenwellness Genossenschaft and all member companies for the sending of advertising and marketing messages about our services, campaigns/offers etc., including the sending of newsletters, via automated (e-mail, SMS etc.) and non-automated (postal, call centre) systems, with reference to the data processing for which the consent of the data subject is legally required. All the Belvita Leading Wellnesshotels Südtirol share one goal, i.e. treating their guests to a nonpareil spa experience in Italy. 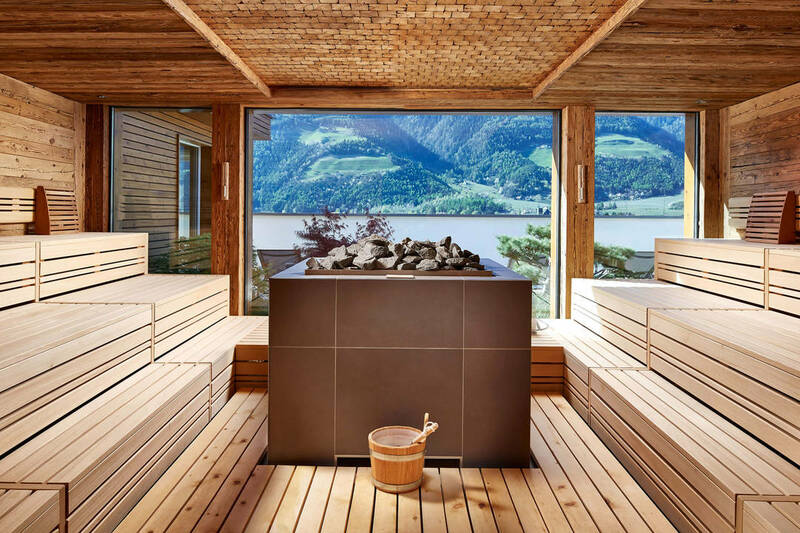 As leading spa hotels in South Tyrol, they are constantly tested to ensure compliance with the highest quality standards and guarantee consistent excellence in terms of spa facilities, service and cuisine. These hotels in South Tyrol are havens of quiet where you can leave the hustle and bustle behind and make time for yourself. The numerous spa treatments offered by the Belvita spa hotels in Italy – carried out exclusively with top-quality products made from locally-sourced elements – are conceived to help you relax your mind and rejuvenate your body. 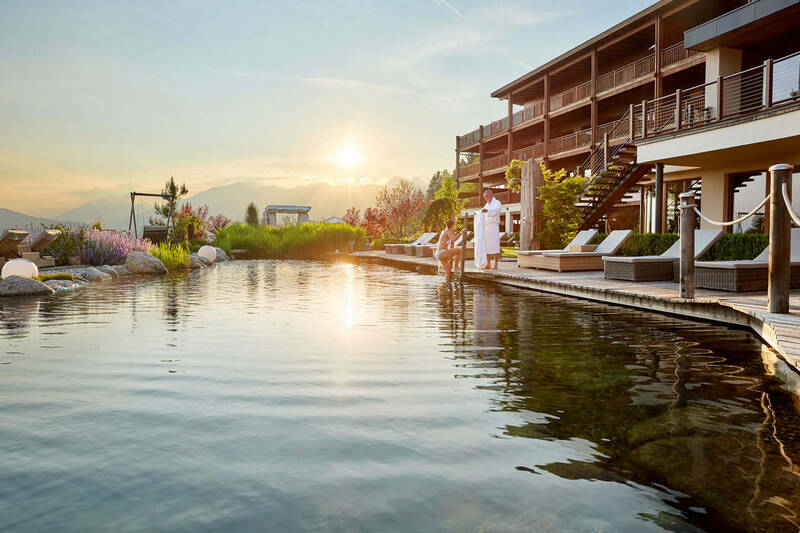 The spa staff at the Belvita Leading Wellnesshotels Südtirol are fully qualified and engage in continuous training to administer top-of-the-range spa treatments. Sit back and let yourself be pampered from head to toe! There is nothing better than a healthy sauna session at one of the Belvita spa areas in Italy to cleanse and strengthen the body. The relax areas provide a soothing atmosphere that induces a sensation of deep relaxation and wellbeing. Do your body and mind something good, and you will be rewarded with a new surge of energy – enjoy some quality me-time with a Belvita spa holiday in Italy! The Belvita Leading Wellnesshotels Südtirol are nestled in South Tyrol’s most beautiful locations: Merano/Meran and environs with its Mediterranean flair, Bolzano/Bozen, the quaint Val Pusteria/Pustertal or the legendary Dolomites – a spoiling choice of holiday retreats between palm trees and mountain peaks. 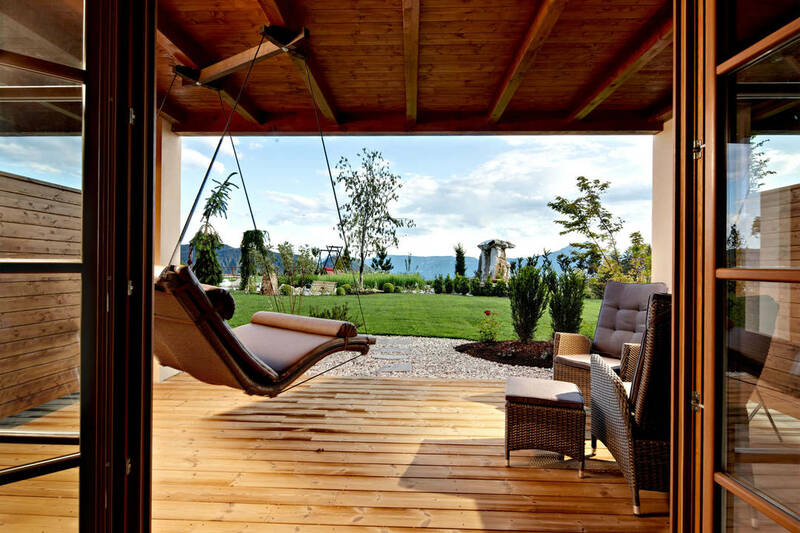 Nature is part and parcel of the very concept of spa – in Italy in general and in South Tyrol in particular. The Belvita spa hotels are nestled in uniquely beautiful natural landscapes. As a Belvita guest, you will find that nature will be a constant companion throughout your spa holidays in Italy. Outdoor sports, for instance, are an excellent way to keep healthy and improve your fitness while fully enjoying the beauty of South Tyrol’s nature at the same time. Take advantage of the programmes offered by the Belvita spa hotels, which include everything from guided hikes to yoga lessons, under the expert assistance and supervision of professional staff! The health-conscious packages offered by the Belvita spa hotels in Italy also include light, wholesome dishes of the Mediterranean and Alpine culinary tradition. The kitchen team devote all their skills and creativity to serve every day fresh, healthy dishes. Traditional recipes are reinterpreted and refined with selected spices into delectable culinary masterpieces. A rich vitality breakfast buffet will ensure a good start to your day, while in the evening you will be treated to 5-course gourmet menus. With a perfect mix of Mediterranean cuisine and Alpine delicacies, spa holidays in Italy are a connoisseur’s dream come true.